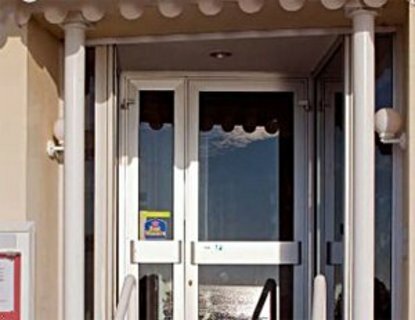 The Best Western Les Roches Noires is facing the beach. The wonderful light through the bay windows on this comfortable hotel's terraces is refreshing. Private, heated swimming pool is nearby. Our hotel features a lounge with patio and a bar. The Best Western Les Roches Noires guest rooms are equipped with cable television with Canal Plus, telephone with dataports, AM/FM alarm clock radio, air-conditioning, mini-bar and Sea view and balcony in some rooms.